We had a good run on RED THUMBS this year. They were an earlier potato (around 80 days) plus they had good size and shape. These potatoes yielded well, and weren’t too fussy to grow and dig. When digging them their bright red color was easy to spot in the soil. They grew higher up in the hill so they could be lifted out of the soil using a broad fork. We will plant more of them in the future seasons. And, maybe more importantly, the feedback from the customers were very positive. So you might say that we’re not the only ones digging our fingerling potatoes. And so our last dig of these Red Thumb beauties will go to Costa’s Food Center in Coudersport, Pennsylvania today; and some will go to Schoolhouse Health Foods in Eldred, Pennsylvania later this week. Fret not local food fans, we still have fingerlings available. 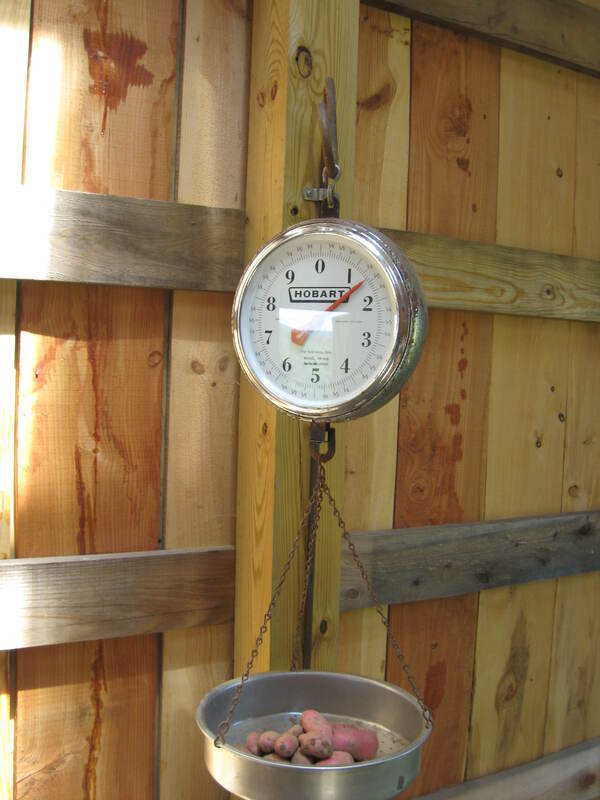 Our next harvests will be later maturing ones; the Russian Bananas and the Rose Finn Apples will be soon dug. 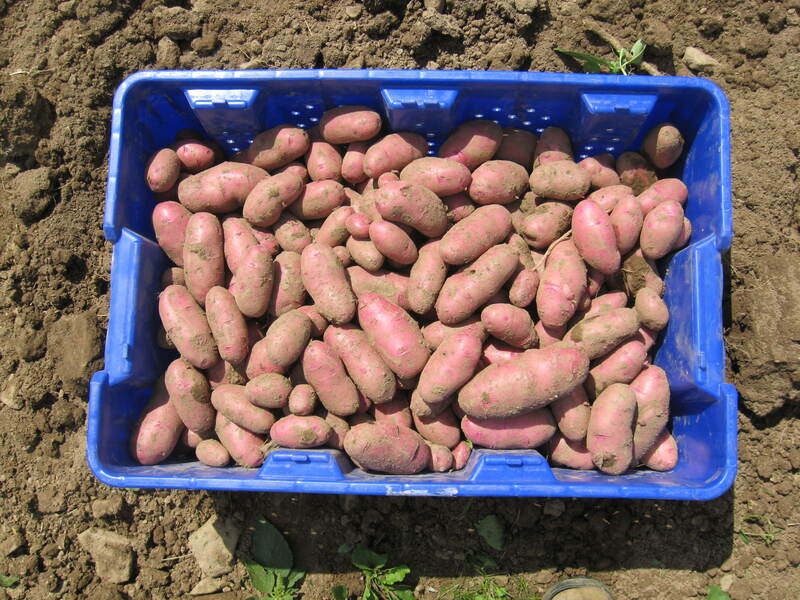 Click here to see our fingerling potato listing.